Without wishing to fat shame one of the greatest players ever to pull on the Chelsea shirt, it’s safe to say that Eden Hazard does not have the archetypal body of an athlete. Hazard, though comparable in talent to the likes of Cristiano Ronaldo, was not blessed with the Juventus forward’s perfectly chiseled abs. Rather, a bit of a belly and a chunky back-side. Is that as a result of unfortunate genetics, or rather Hazard has a bit of an appetite? By the sound of these recent comments to RTBF (as translated into English by The Sun), it may well be the latter! If you haven’t heard the story, it’s an absolute cracker. As The Sun tell it, Hazard was substituted in the 60th minute of a Belgium game back in 2011, while he was just 20-years-old. He wasn’t happy at all, storming past his manager and out the stadium. 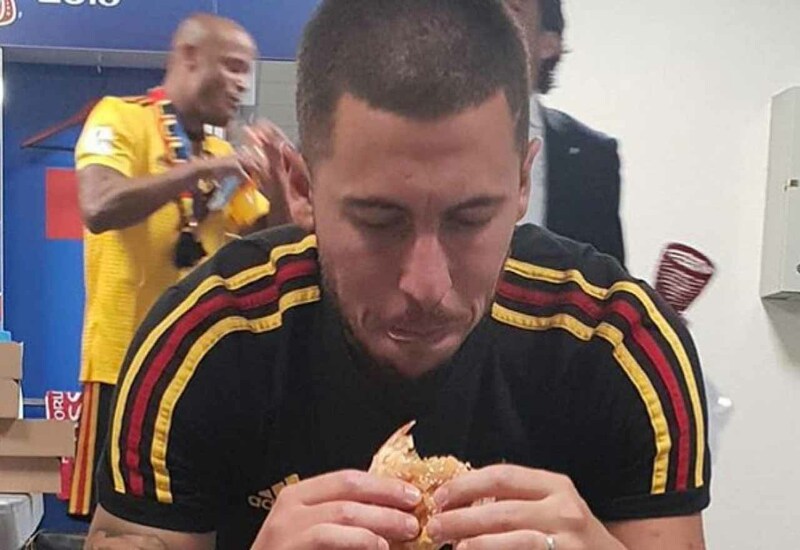 He was later pictured eating a burger, which as you may expect, was circulated all around the Belgian media, even earning him a two-match ban for his country. It’s difficult to imagine Hazard being so unprofessional, but it’s not uncommon for a player of his then tender age to act naively in this manner. Hazard has grown into a model professional. A leader for Chelsea and the captain of his country. It’s a glo-up like few others. Let’s hope he continues on the right path by signing a new contract!